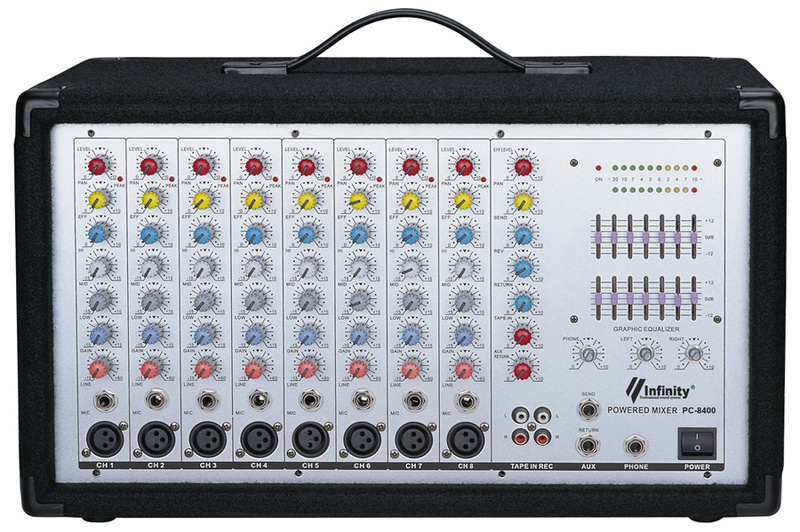 ● 6/8/10 CHANNEL POWERED MIXER Ultra low noise 6/8/10 Channel Mic/Line, digital effect stereo powered Mixer. ● 6/8/10 Mono input channels with silver plated XLRs, and balanced line inputs. ● 2-Track input assignable to master mix, stereo headphone output, 1 Stereo Power output.